When it comes to what’s next in your life, career or business, you may consider hiring a coach. And coaching is NOT free. Working with a coach requires you to invest your time, attention and money. But how do you know what you’re getting when you say yes to coaching? Is coaching for real? What can you expect to walk away with? For many, indecision and fear stop them from taking the leap and investing in what could be the best thing they could ever do for themselves. And if you’re new to the experience, it all seems so – fuzzy. How do you find certainty or safety for that matter in your investment? Through my career and work with coaches myself, I’ve developed 10 Aspects to help you get your money’s worth out of coaching. While there are no guarantees, evaluating your coach against the following 10 elements will help you get your money’s worth out of coaching. And especially when your employer is investing on your behalf, ensuring these elements are in place can help you overcome risks and satisfy your manager, HR team and employer. First, understand that when hiring a coach, you are entering into a relationship. And like any relationship, for success with a coach, you’ll need to align in several ways. In each relationship, you encounter things that feel good and things that may press your ethics, values, perspectives, and boundaries. So, when you invest in a coach, you’ll want to do your research and be sure you resonate with the prospective coach. To do this, review your potential coach’s online presence, read a few blog posts and see how you feel. If you feel repelled, keep looking… but if you’re drawn in, it’s a good indicator that the person you’re considering can help you. One big distinction to understand is the difference between therapy and coaching. Here’s the bottom line: therapy tends to look backward in your life and look for why’s, and coaching meets you now and looks forward to helping you take action toward your goals. Coaching centers on keeping you motivated, moving forward and helps you remove what’s in your way. In comparison, Therapists have considerable medical training and are trained differently. Therapy typically starts with a diagnosis and follows a clinical treatment path. Treatment may include group or individual sessions and may include medication. Therapy sits in the house of mental health and seeks to help people work through self-destructive habits, improve relationships and move through pain or trauma. It focuses a patient through past experience, subconscious and unconscious. Both therapists and coaches can niche into specialties. Additionally, both therapists and some coaches work with people who have been diagnosed with brain-based conditions such as ADHD, depression or anxiety. Coaching is distinguished by its forward focus, while therapy tends to look to the past. Coaching accepts a client’s starting point as a neutral place and creates an environment of accountability and an action-based approach to help you move forward. And bottom line, chemistry does matter. A good coach will challenge your thinking, habits, and perspectives. Having a sense of alignment with a potential coach will help you feel safe when you’re unsure. So start by doing some research to test how you feel about the potential coach first. Once you’ve researched their background, move deeper keeping these 10 elements in mind. These 10 elements will help you get your money’s worth when hiring a coach. The person who will be coached [Coachee or Client] must have an understanding of the goals they desire as a result of working with a coach. 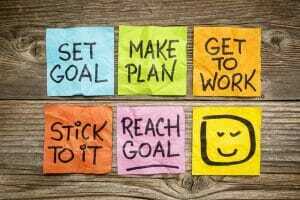 Although goals can often shift and deepen throughout the coaching process, to get the best results, clients need to start with goals in mind. To achieve results, the coach and coachee co-create a relationship. This means they work together to design an active, listening forum that helps the client stay curious, quell judgment and ‘try on’ possible courses of action to achieve her goals. In ‘coach speak’ there is a term: ‘dancing in the moment’ – that meets a client where they are through the tools of deep listening and powerful questions. The coach doesn’t attempt to diagnose or know what the client should do. But a coach is trained to ask questions that help clients go deeper to help themselves clear the fog and chaotic thoughts clouding their decisions. This dance leads to insight and client clarity. And with clarity and a perspective shift, clients take action more rapidly. One way coaches move clients toward clarity is to help them explore their sources of pain. Dissatisfaction can be a high motivator. A coach can help you see how unmet expectations and disappointment is the evidence you need to shift your behavior or unhelpful habits. With your permission, a coach can help you get uncomfortable enough in a safe discussion to ‘try on’ different possible actions. Regularly engaging in this process [dance] helps you focus on specific goals and take big steps toward desired outcomes. Clarity is one of the most reported client outcomes, and critical to your success. When a coach is hired by an employer for an employee, defining roles and clarifying time-centered goals are critical steps. If you’re seeking coaching for professional development and your employer is picking up the tab, you’ll need to consider your employer’s desired outcomes as well as your own goals. It will be important to set measurable business goals with deadlines. Once set, the employee will likely be asked to ‘report back’ periodically to ensure the coaching is working. Since coaching is a safe, confidential space for the client, when hiring a coach through an employer, it will be important to discuss confidentiality and how reporting will be handled regarding sessions. An employer needs to be satisfied with receiving very broad details such as whether the sessions occurred. These details can get sticky if all parties are not aligned prior to the starting point. Additionally, you’ll likely be asked to establish a specific coaching plan that contains the employer’s desired outcomes in your behavior, performance and/or results. When your employer is paying for coaching on your behalf, the coach and coachee can set additional personal goals, but the emphasis must be on declared and measurable performance goals. When researching a potential coach, check their background and credentials. Since nearly anyone can call themselves a coach, sometimes ethics can be fuzzy and hard to determine between different coaches. So it’s important to understand the ethical underpinnings and standards of the coach you hire. While most coaches pursue training, many pursue accreditations through programs designed to help them deepen coaching competencies. Competencies are skills necessary to enhance the coaching space. Coaches who have pursued industry credentials ascribe to a Code of Ethics established by the International Coaching Federation (ICF). While ICF is the largest credentialing body in the coaching industry, there are also others. All credentialing bodies ascribe to ethical standards that are typically developed over several decades of client-facing work. Ethics cover many of the aspects of a complex, layered, nuanced client-coach relationship. They are defined through behavioral anchors which are more objective ways to evaluate coaching skills. Therefore, coaches trained in accredited programs will share ethics that protect you. You can see my program’s ICF credentials here. Bottom line: to get your best value from a coach, learn about their training, credentials, ethics, and standards. The research will help you feel more secure. Then invest in someone who operates ethically and supports your success. Ethical standards will help you feel sure you’re getting your money’s worth when hiring a coach. Boundaries are those invisible lines that are sometimes difficult to assess. If you never have worked with a coach, I’m sure you have heard both positive and negative stories from people who’ve hired a coach in their past. And, since coaching is a service and not a product, approaches to coaching are as varied as any other service provider. Sometimes people get a negative experience with a coach as a result of inconsistencies and fuzzy boundaries between client and coach. In coaching, boundaries are established through ground rules, a coaching plan or agreement, and terms. You’ll want to be sure your coach operates from a base of integrity, respect, and flexibility. A coach who provides plans, terms and agreements for each engagement, has established his/her policies and thought through consequences. Expectations and consequences for missed appointments and late starts are written down and agreed to prior to the engagement. So, before you hire, ask about these items. Clear boundaries make a relationship easier for both coach and client. When boundaries are visible and secure, it deepens trust and helps ensure you get your money’s worth when hiring a coach. The conversations between coach and client must be kept confidential to establish trust and safety. The Coach must not discuss the particulars of the coaching conversations with anyone but the client. Typically, coaches will offer a Confidentiality Statement or policy as part of their take-in approach. This can get tricky if you’re seeking coaching as a multi-pronged approach to performance issues within an organization. To be sure confidentiality is kept, you’ll need to establish some clear ground rules and measures to avoid wasted time and money. If you wish to establish a coaching option for employees in your company, select a few qualified coaches from outside the organization. Identify a pilot group of internal employees to be coached. These individuals should be in good performance standing to avoid mistrust within the organization. Allow the pilot group to set individual performance goals and then meet with these pre-screened coaches to select a coach to work with. Establish a reporting criterion that allows the coaches and employee coachee’s to maintain their confidentiality while reporting on their goals and performance improvements. If you’ve ever discussed the benefits of coaching with someone who’s invested before, they’ll often declare their most valuable aspect is enhanced accountability. But before you put your credit card down, you should understand that in order to get your money’s worth from coaching you need to bring your best game into the agreement. The power of coaching lies in the framework of accountability. What that means is you provide as much to the success as your coach does. You will freely commit to preparing for sessions, implement ideas and take action between sessions. In other words, you take accountability to complete what you say you’ll do. And, when you do not take those actions, accountability means that you commit to talking about and learning from those actions, whether successful or completed or neither. So, if you set a goal, verbally commit, and know you have someone to answer to, you take action. And you’re not just accountable for the action in between sessions. You’re expected to be accountable for your side of the coaching relationship, your time, intentions and what you do (and don’t do) between sessions. So to get your money’s worth when hiring a coach, you need to be prepared to take action and do what you say you’ll do. And, if you don’t, you’ll want to be honest about what got in the way. This demonstrates integrity, which is another tenet of coaching. A good coach will help you explore what you do, and what you do not do in between sessions in hopes to help you gain insight. The program structure determines how often you meet, how much 1-1 access you’ll have, whether the program or package includes group work and if there are additional components. Structure helps you get the most out of your investment. Structure creates a ‘container’ that distinguishes coaching from other conversations you have. So understand the coaching structure prior to signing up with a coach. Be sure to discuss their structure on two levels: overall program structure, and session structure. Nothing beats the shared space created with a coach. It’s easy to get seduced by insights, enlightenment, and conversation. However, a good coach provides a consistent framework and it should fit your needs. To be sure you get what you pay for, it’s critical to understand the package details. First, it is important to understand the coach’s overall approach, so ask what will be included and how it will be delivered before you purchase. Packages typically have start and end dates and/or may include a total number of sessions. Since each coach is different and services and specialties vary, learning these details will help you fairly compare when you’re shopping. The coaching schedule, number of sessions, length of each, and access between sessions are the structural components that make comparing coach offers less biased. Secondly, trained coaches encourage you to set an agenda and an expected outcome for each session. Session structure provides an envelope which has an opening, a discovery phase, an activating stage and a commitment at the close where you design actions to step closer to your goals. I like to think of the session structure as a checklist (and yes, I use one on my end of each call). Structure helps you focus, remove obstacles, design actions and create steps forward each session. Thirdly, delivery provides structure to coaching. While much coaching is done via phone or web, some coaches offer hybrid approaches. I run a great group program with online training modules for content, individual hot seats during group calls and private calls. Additionally, group programs are a great way to try out coaching, and are often less expensive than individual coaching. It’s important for you to understand the level of flexibility that your coach offers within their programs, just in case. While your personal accountability will peak while you work with a coach, the one constant in life is change. You may want to ask how potential coaches handle emergencies, last minute schedule changes and basic reschedules. While most coaches offer some degree of flexibility, you should know how to handle schedule changes and under what circumstances you will be billed for rescheduling or missed appointments. You hire a coach to take action and work regularly toward your goals. Coaches are trained to create structure and framework that support your actions, goals and results. Further, since coaching is a co-created relationship, you always have the opportunity to reassess and pivot throughout the engagement. When you begin, you’ll set ‘big’ goals and then each time you work with a coach, you’ll revisit where you are, how far you’ve come and where you’d like to go. Setting time-oriented goals and taking regular action dramatically speeds up your results. 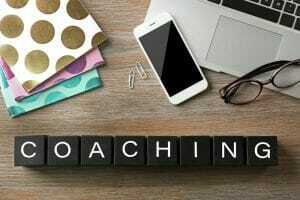 When hiring a coach, be sure you ask about how they establish a framework, how they approach agendas, client action and focus on following up. A coach will listen for self-limiting perceptions and assumptions to help you become more aware of your blind spots. Your coaching success is not just about the information you’re missing to get you to your goals. 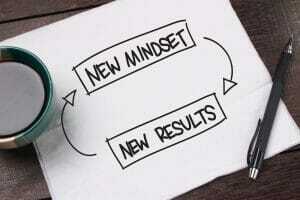 But a coach will challenge your thinking, mindset, and perspectives as well. When evaluating coaches, you can ascertain intangible aspects by reviewing client testimonials, case studies, referrals, and recommendations. And check your coach out across social platforms as well. Anyone can publish anything on their website, so be sure to cross check what you can find online. Even the best-laid intentions can get muddled by life’s surprises. Unfortunately, you may need to end a coaching relationship due to life circumstances. My attorney says to “always begin business engagements with the end in mind.” In other words, think through how to terminate a partner or client relationships before we begin. Most coaches cover service policies within a Coaching Plan, Terms, or Agreement. Since the future is uncertain, review agreements and terms before you sign with a coach. Just in case things go sour, you’ll want to know what’s guaranteed and how to end it. In addition, most coaches have Terms for how they handle clients who ‘disappear.’ (This happens more times than you’d think). Since coaching amps up individual accountability, clients may confront long-standing habits and patterns in their way. This can confront a client’ sense of self. When this happens, clients can go into ‘hiding’ to avoid confronting underlying issues. Some clients can disappear when they feel they’ve messed up or dishonored the coaching terms. Both scenarios discuss why it’s important to understand the terms of separation before hiring a coach. As you know, powerful coaching is built on trust. Although subjective, the ‘is this working‘ opinion has weight as either coach or client. A coach who feels the relationship cannot be turned around can end the agreement and honor any guarantees. You’ll be prepared if you know what happens if the program is not working. In conclusion, it’s best when your values, needs, and desires match a coach’s strengths. To find the best match, check your coaches’ experience and review their past client testimonials. Then, check in with your emotions to be sure you resonate with your potential coach. Investing in a coach can be the best thing you could ever do for yourself. It can save you time, work, effort and money. Spending a few thousand dollars on a great coach will save you tens of thousands if you ramp your business up faster and avoid sunk costs, wasted time and rework. And since a coaching relationship is co-created, your success often depends on the dynamics between you and others. When hiring a coach, keep these ten essentials in mind, and you’ll be well on your way toward success. If you’re considering working with a coach and have questions, click to our contact page and apply for a no obligation (and no fee) Discovery Call. Let’s see where you are now, and see if now is the right time to get support.